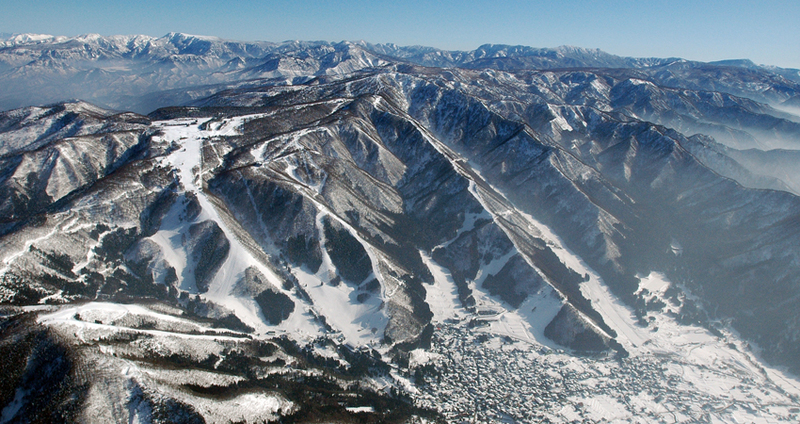 Famous for onsen hot springs throughout the year as well as large amounts of quality snowfall during winter, Nozawa Onsenis one of the more well-known ski and snowboard resorts in Japan. There is no train station actually in Nozawa Onsen village. The nearest local train station on the local Iiyama-sen line is called Togari Nozawa Onsen Station which is around 7km from the centre of the village. While some people use this station and take a taxi or local bus to get to the village and ski resort, most visitors have traditionally taken a direct bus from Nagano Station. The Shinkansen ('bullet train') line stopping at Nagano Station was previously generally known as the Nagano Shinkansen. A new extended section of line connecting Nagano with Kanazawa in Ishikawa Prefecture was opened in the spring 2015, when the Shinkansen line took on it's intended title - the Hokuriku Shinkansen. The Hokuriku Shinkansen now connects Tokyo Station directly with Kanazawa Station, stopping at Nagano Station as well as the new Iiyama Station on the way. 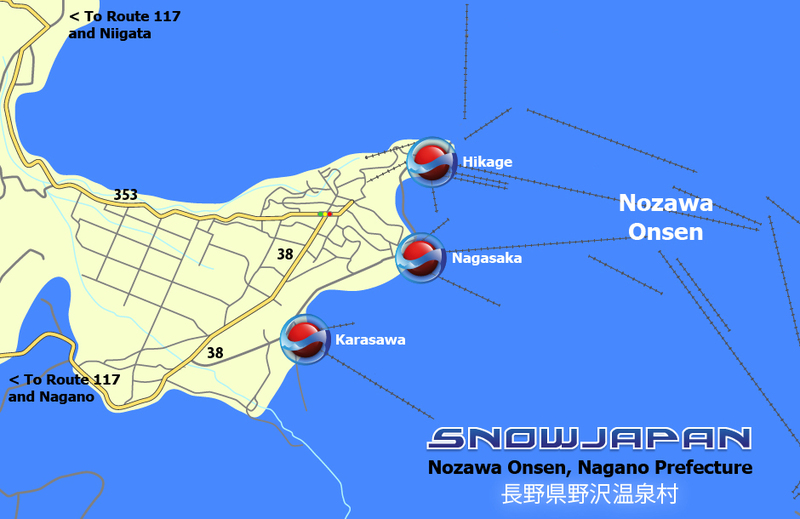 Both of these stops are convenient for people heading towards ski resorts in northern Nagano. Iiyama Station is now the closest Shinkansen station to Nozawa Onsen and just 14km from the base of the ski resort. There are frequent direct buses from Nagano Station, leaving from the East Exit of the Station. This journey is around 252km and usually takes just under two hours. The normal charge for the Hokuriku Shinkansen journey from Tokyo Station to Iiyama Station is just over 8,000 yen one way, but various discounts are available with various ski packages and they are worth looking into. Bus to Iiyama Station or Iiyama-sen from Togari Nozawa Onsen Station to Iiyama Station. Madarao Kogen is about 11km from Iiyama Station. Iiyama-sen from Togari Nozawa Onsen Station to Toyono Station. Kita Shinano-sen from Toyono Station to Myoko Kogen Station. Kita Shinano-sen from Toyono Station to Kita Nagano Station. Walk over to Shinano Yoshida Station (10 minutes). Nagano-sen (Nagaden) line from Shinano Yoshida Station to Yudanaka Station. Kita Shinano-sen from Toyono Station to Nagano Station. Iiyama-sen from Togari Nozawa Onsen Station to Tokamachi Station. Hokuhoku-sen from Tokamachi Station to Muikamachi Station, and direct to Echigo Yuzawa Station. Bus to Nagano Station or Iiyama-sen from Togari Nozawa Onsen Station to Toyono Station. Bus to Nagano Station or Iiyama-sen from Togari Nozawa Onsen Station to Iiyama Station. 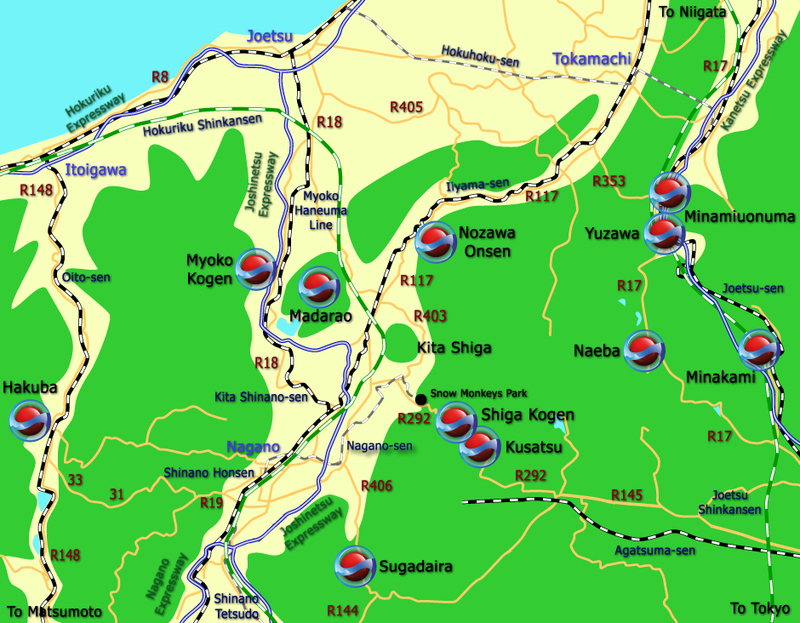 For detailed information on how to get to Nozawa Onsen by car, please go to this section.